The revelation of electronic music has arrived. Electro Sun's long awaited 3rd studio album is finally here! 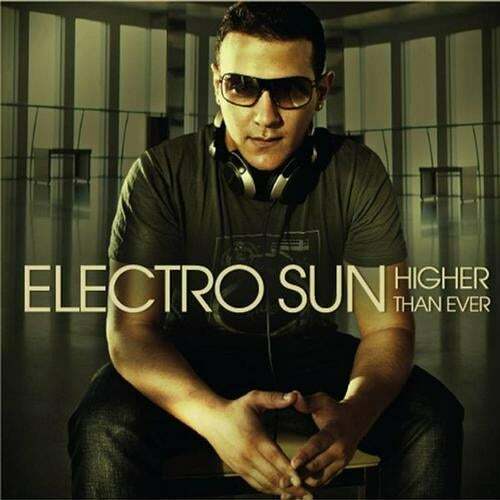 'Higher Than Ever' not only preserves Electro Sun's worldwide known style, but takes it a few steps higher. Powerful melodic high-tech full on at its best, kicking beats, purifying melodies & cathartic production all skillfully crafted to take the dance floor to a higher state of mind. Nadav Elkayam (24) is the driving force behind this highly acclaimed project. After 2 successful studio albums (Trancelucent Productions), numerous compilation tracks on the biggest labels (Com.Pact Records, Noga Records, Midijum Records, Dacru Records, BOA Group, FinePlay Records, DNA Records, Plant BE.N & Utopia Records to name a few) & global tours on a weekly basis, this busy, ultra-talented producer grants us a new ear-candy in the form of this mesmerizing studio album. 'Higher Than Ever' includes 10 previously unreleased tracks produced by Nadav and combines remixes & collaborations with some of the biggest names the scene has to offer: Sesto Sento, Bizzare Contact & Apocalypse. On this unforgettable piece of art you can also find collaborations with some of the most promising acts out there, such as Faders, White Noise & Emdox. With millions of song plays online and an ever growing community of followers on the different social networks, Electro Sun has based himself as one of the leading & most influential producers in dance music. So prepare yourself to get elevated Higher Than Ever!